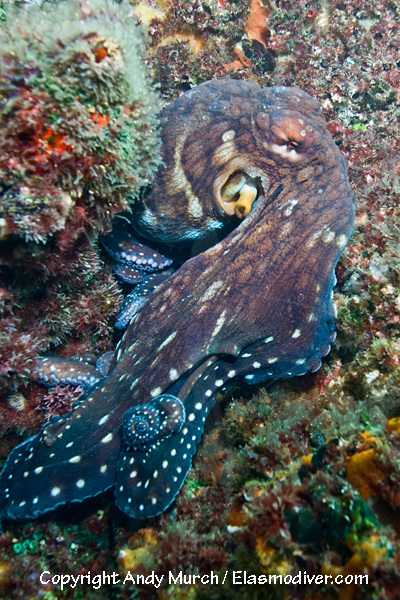 The reef or 'day octopus' (Octopus cyanea) is a wide ranging species that can be found throughout the Indo-Pacific region from East Africa to Hawaii. 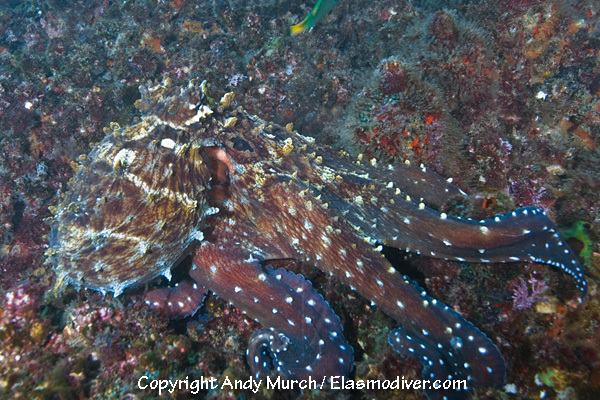 These Greater blue ringed octopus pictures are available for commercial licensing. For further information regarding usage please e-mail Elasmodiver. 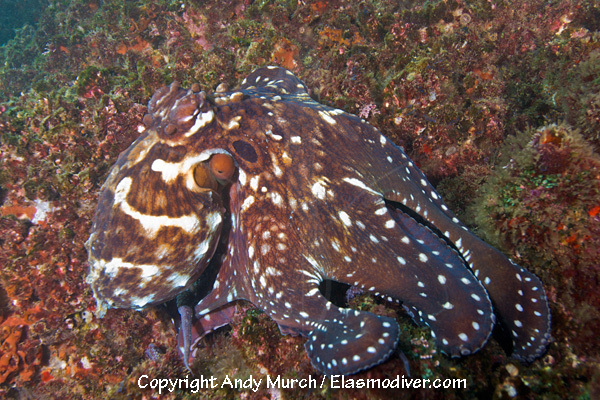 These reef octopus aka day octopus pictures (Octopus cyanea) were taken at Fish Rock, near the town of Southwest Rocks, NSW, Australia. All of the octopus images on elasmodiver.com are copyright protected. No unauthorized use of these day octopus pictures is permitted. Please contact Elasmodiver for further information.